Please enjoy the radio interview done today on BlogTalk Radio “In the Author’s Corner” with Etienne Gibbs. 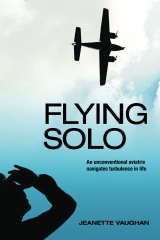 And get your copy of Flying Solo today from Amazon.com in print or Kindle. As a writer, one of the most excruciating periods is when your book goes live. After all the months of slaving over this character and that, what dialogue, where are they . . . finally it is all edited and packaged. Next comes the step of introducing the world to your work. Gahhh….anxiety producing to say the least. This week, I think I consumed at least 10 pounds of carbs and empty wine calories awaiting the response to Flying Solo. Wow. . . I am just in awe. So happy that both men and women are liking the story. I can now breathe. Uh oh . . . does that mean it is now time for Weight Watchers? Eeeek! 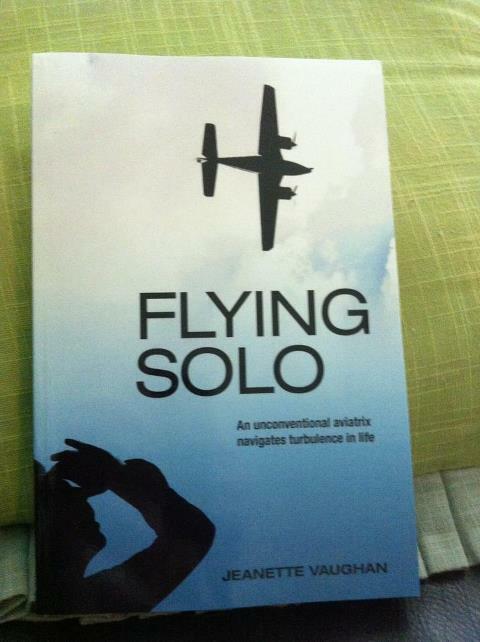 Can’t believe the day has finally arrived, but Flying Solo is now available for purchase! Although you can get it on Amazon.com or Barnes and Noble BN.com shortly. . .it is really more ideal to purchase it directly from CreateSpace as the publisher AgeView Press recommends. This book was written as a vehicle to raise funds for my son, Harrison who has muscular dystrophy. Medical equipment is very costly, even with insurance. We are trying to obtain a wheelchair van that has airconditioning. Also a lift to get him into the pool. As well as a rolling shower chair. So humble are the reasons for working this project. So, even though you are getting a great read, you are also paying it foward! Please enjoy the book and feel free to post your comments here! Flying Solo is Almost Here! 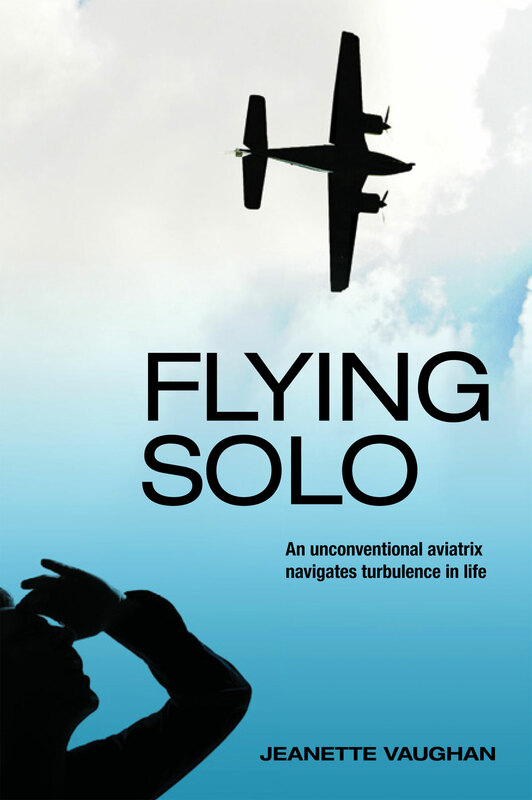 My new novel entitled, Flying Solo: an unconventional aviatrix navigates turbulence in life is almost here. After much anticipation, the final, FINAL, proofs were completed. Ahhhh….now time to sit back and relax right? Wrong, writing the book was easy. . . now it is time for shameless self promotion. Blogging, advertisting, facebooking, twittering, interviewing, booksigning. Wow, exhausting just to think about it all. But so worth it to put the book in the hands of your readers. Tired yet? All in a good day’s publishing work! Sometimes people don’t like to comment on youtube.com as you have to subscribe to a channel. So. . what did you think of the trailer. I will admit. . .I love it! So proud that it was the first one I ever produced myself. Please complete the poll and let me know what you thought. All feedback is welcome here. 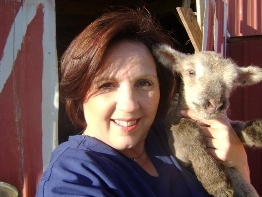 Welcome to jeanettevaughan.com! This is the site’s very first post. Part of AgeView Press’s author pages. I am excited to begin this new journey, finally into what I love doing besides nursing. Writing! It has always been something I have been called to do. Now it is time to sit aside the required professional endeavors for my personal stories. It is time to start writing what I love: great stories that need to be told. Welcome and enjoy the read.